Today I want to talk about manners; specifically regarding kids in restaurants. *Disclaimer*- I know that this will be highly unpopular, and I don’t care….so don’t @ me. *Pull colored paper out of your Mom’s bag, dip it in your water glass, and smear it all over the linen until it turns blue. 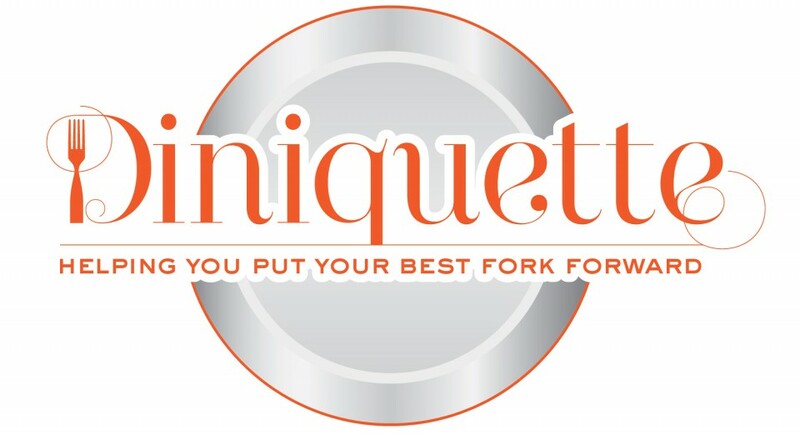 *Pick up your fork and bang it against the side of your water glass…CONSTANTLY; (there is a reason this is done at events, like weddings, to get everyone’s attention; the sound is high pitched and resonates EVERYWHERE). *Walk back and forth on the banquette; (for that matter, doing any sort of gymnastics on the banquette….yes, I have seen this, very recently….thus, why I’m writing this). *Have a smartphone/tablet/computer with the volume turned up. Please use headphones. *Screaming, yelling, running around. (you’d think this one would be common sense; and yet…..). *Everyone who is seated around you, is entitled to enjoy their evening as well. They chose to come to a NON-kid friendly restaurant for a reason. Sometimes, it’s business, and sometimes, it’s the first time a couple has been able to orchestrate a date night for ages…..your kids are now disrupting their experience. Would you like it if someone ruined your experience at a restaurant? (Especially a restaurant who’s prices are like a mortgage payment). It’s selfish and disrespectful; AND you have put the restaurant in a horrible position. The restaurant either has to approach you and tell you to control your kids, (tell me a nice way to say that that won’t insult someone), OR, the restaurant has to “comp” food/drinks from the guests that are dining all around you, so they don’t loose their business. So, you allowing your kids to treat the restaurant like a playground has now cost the restaurant money. *It’s a safety issue! By allowing your kids to run around the restaurant, you are now causing a potential safety issue. Runners and servers come bolting out of the kitchen with trays of hot food on scorching hot plates; by allowing your kids to run around, they could, ( and have), run into the staff causing many accidents. All of that food that has now wound up on the floor, because your kid ran into them or into their path, now costs the restaurant money, because all of that food is now trash. It also, once again, disrupts the experience of the guests who now find their food on the restaurant floor and have to wait 20 minutes, at least, to have everything re-made……what that means is that the entire kitchen now comes to a halt! The food that wound up on the floor, due to your kids, now gets priority; which means that everyone else in the restaurant, (EVERYONE ELSE), gets put on hold…..all of that disruption because you allow your kids to behave without manners. To be clear, kids are welcome to come in and dine;(and I actually adore kids), but, they are expected to behave with manners. Sit in their seat, speak with their “inside” voice, not use their silverware as drumsticks, NOT destroy the tablecloth, keep the volume on all electronics low and just enjoy the delicious experience with the rest of the room.